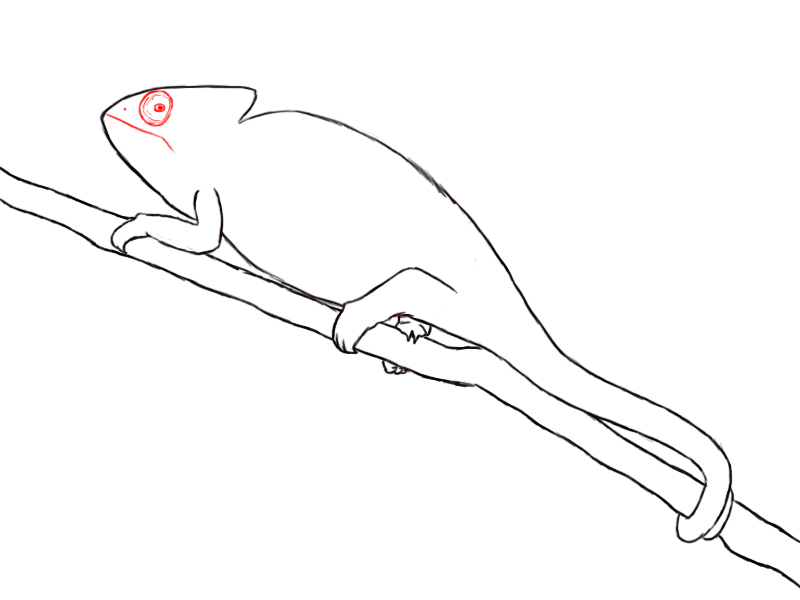 Today we are going to learn how to draw a chameleon, one of my favorite animals. Chameleons are neat little lizards that are most famous for their ability to change color to blend in with their surroundings, and their binocular eyes. 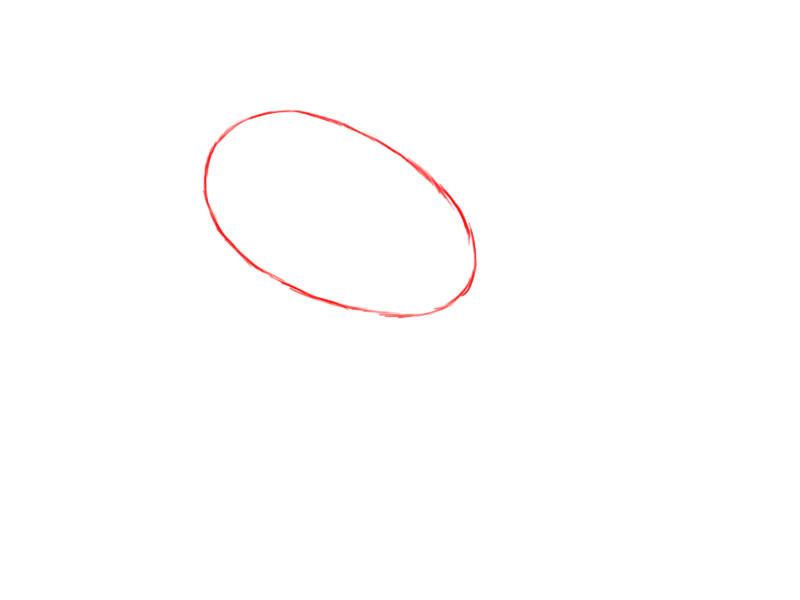 The first step in drawing your chameleon is to draw a large oval which will become the body of your lizard. Give your chameleon a fairly large, triangular head, with a crest that sticks up just a little higher than its body. Draw a branch for your chameleon to be resting on, and a long tail that is gripping the branch. 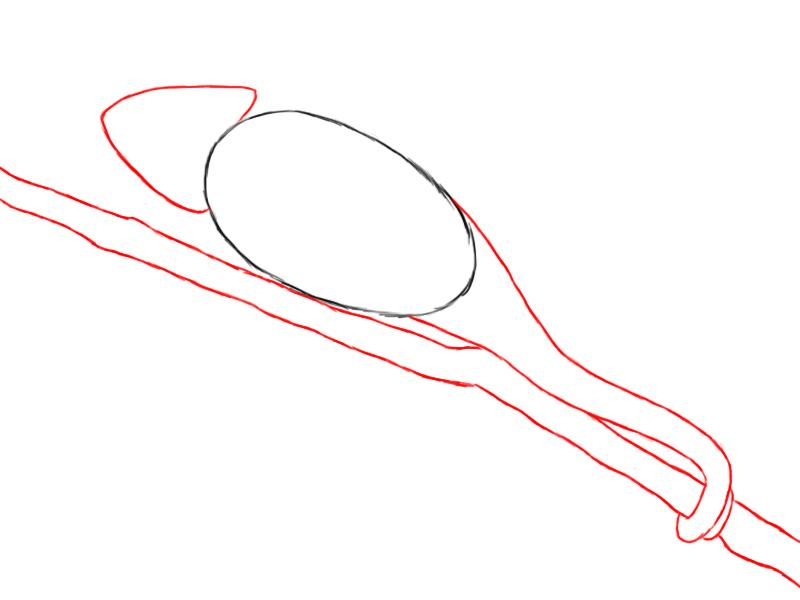 Now we are going to give our chameleon some legs. Most chameleons have very small legs for their body size. 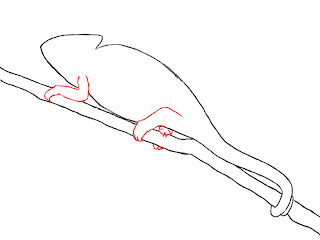 Draw these grasping the branch with their feet, which have two toes on one side, and three on the other. Most chameleons don’t really have a whole lot of detail in their faces. 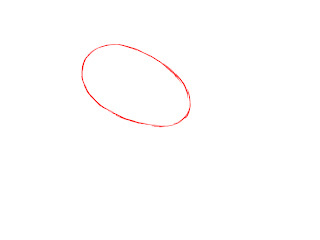 Draw a thin line that bends downward at the end for its mouth, and a small dot for a nostril. Also, give your chameleon its trademark large, googly eyes, which have a small slit opening in the center. 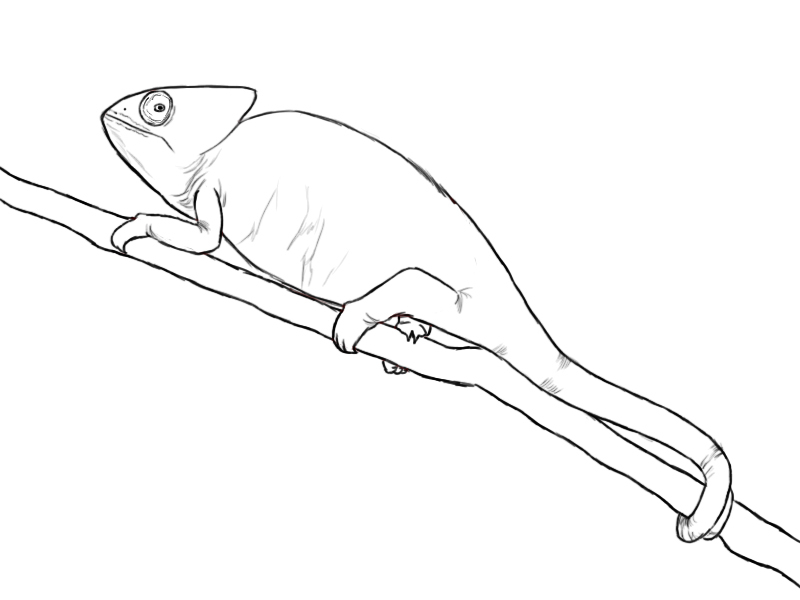 Give your chameleon a little more detail, like some lines around its joints, and thats that! 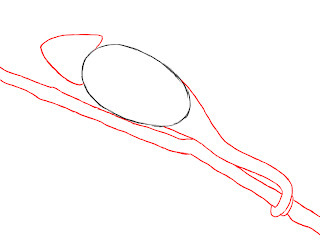 I hope you’ve enjoyed another tutorial. Don’t forget to comment and like us on Facebook! Thanks everyone!